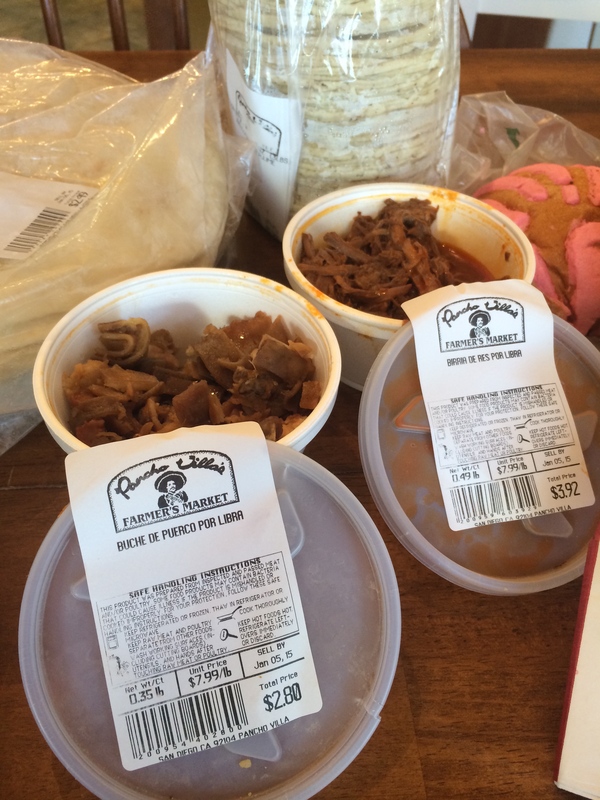 Pancho Villa Market is where you can head in San Diego for freshly made tortillas. We are out of torts, so, here I am. Instead of a usual post-grocery shopping snack of little,street-style carne asada soft tacos, today I’m looking for something different. The fabulous woman behind the counter and I combined our Spanish and English and came up with these snacks: birria de res, and buche de puerco, a chile relleno, some carnitas, and a burrito with adobada de pollo. (Need to brush up on your high school Spanish? 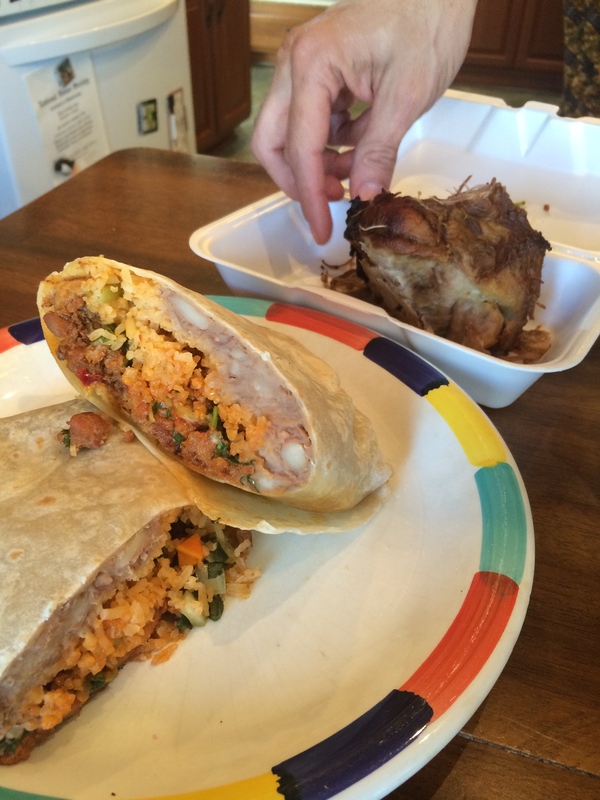 Here’s a great site for a cheat sheet- “A Gringo’s Guide to Mexican Food,” or, “Everything You Need to Know to Read a Taqueria Menu.” at http://doginspace.com/taqueriaspanish/). Carnitas and rellenos I know, but the adobada, birria and buche were all new to me. And I will eat anything if it is something other people will regularly eat- no squeamishness in me. Bring on the tripas, medudo is one of my favorites. WHERE HAVE THESE BEEN ALL MY LIFE?!? The birria and buche became little, soft tacos as fast as possible by toasting up the tiny corn tortillas and adding a little jack cheese and lettuce. Buche de Puerco on the left, birria de res on the right (ignore what the lids may say, we were too hungry to care about the details). Buche and birria soft tacos. YUM!